The Law Office of Kristen L. Campbell, LLC, is proud to provide personal, one-on-one representation to clients throughout Butler County, Ohio. With more than 16 years of legal experience in Butler County, Attorney Kristen L. Campbell is familiar with laws and procedures of the Butler County Domestic Relations Court, Juvenile Court and the Probate Court. 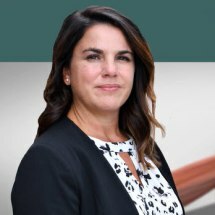 She is a responsive, compassionate advocate for her clients facing challenging family law litigation situations. Attorney Campbell is also a trained mediator who strives to help parties find creative solutions to meet their family needs. The Law Office of Kristen L. Campbell, LLC is located in downtown Hamilton, close to the Butler County Government Center and easily accessible from Interstate 129. From this location we serve all communities in Butler County including Fairfield, Hamilton, West Chester, Liberty Township, and Oxford. The initial 30-minute consultation is free, so contact our office today to schedule your appointment. Attorney Campbell has flexible hours to better serve you.